Lucy provides administrative support to the Complex Interventions Research Group, led by Professor David A Richards. This group aims to improve the evidence which underpins health care interventions, particularly those delivered by allied health care professionals such as nurses, physiotherapists, psychologists, radiographers, occupational therapists and many more, using programmes of integrated and sophisticated mixed methods research. 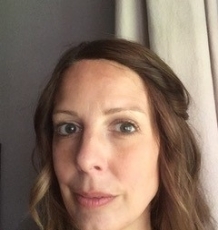 Lucy was originally recruited in 2012, as an administrator for the DiReCT Study: Improving Recruitment to Clinical Trials, and has gone on to provide administrative, research support to various other studies including Steps, CADET, and the ESSENCE PDG, currently providing support to Prof David A Richards and the wider team.